Image courtesy of Big City Mountaineers. Whether it's a New Year's Resolution or a simple addition to our to-do lists, most of us want to do something that makes a difference. 1. 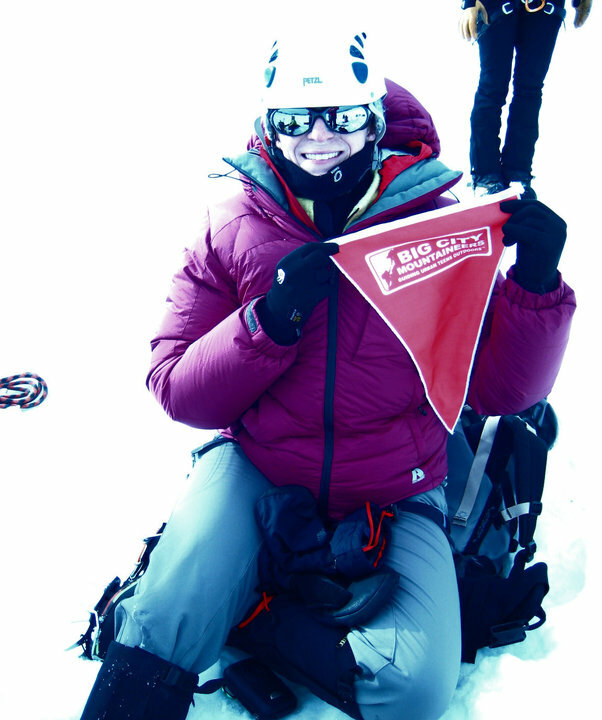 Your Summit for Someone climb will change the lives of several or more very deserving teens. There's nothing more rewarding than achieving something you've worked hard for and knowing your hard work will have a positive impact on the world. Big City Mountaineers (BCM) is an organization devoted to enhancing young peoples' lives by taking them outdoors under the guidance of caring adult mentors. 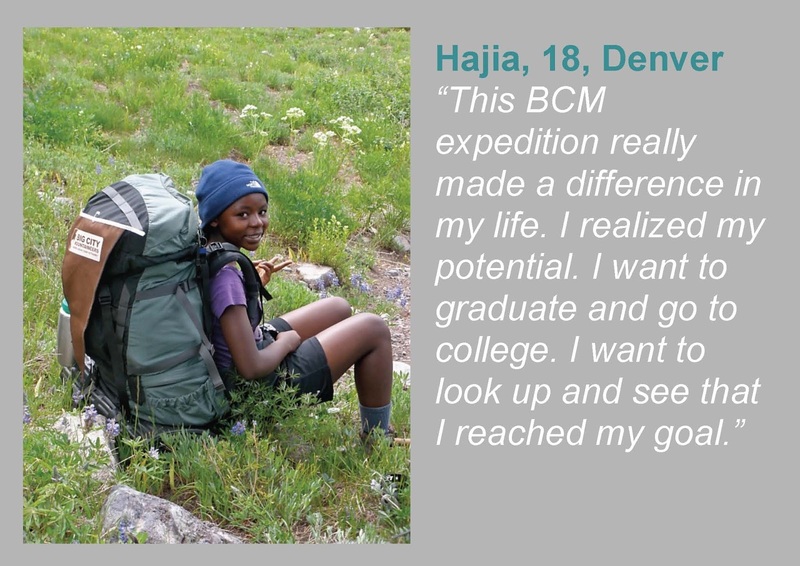 BCM believes that all teens deserve a mentor or a role model, someone to teach and inspire them, and outdoor experience coupled with strong leadership can transform lives. I can't think of a more deserving cause than that. According to BCM "youth consistently show measured growth in self-esteem, motivation, integrity, responsibility, decision-making and communication" after their trips. When you sign up for a Summit for Someone climb and raise funds for BCM, you're effectively telling a group of under-resourced urban kids that the direction their lives take matters. 2. Your Summit for Someone climb will change your life. Rainier, exhausted, fulfilled and elated. When I signed up to climb Mount Rainier as part of an all-women's team in 2010, I expected it to be an incredible physical challenge. I expected to deal with fatigue I'd never felt before and knew I'd have to have to train like I'd never trained before. I expected to be tired and sore. What I didn't expect was the associated mental challenge you can only find at the junction of your own preconceived limits and the theoretically impossible. I didn't expect my fears of falling, discovered along with my love of rock climbing, to surface high up on Rainier's massive glaciers. When you're sleep deprived, exhausted and scared out of your wits, but persevere, it's something you'll never forget. Summit for Someone climbs are a chance to change your perception of what you think you're capable of. It's happened to me. Not convinced? 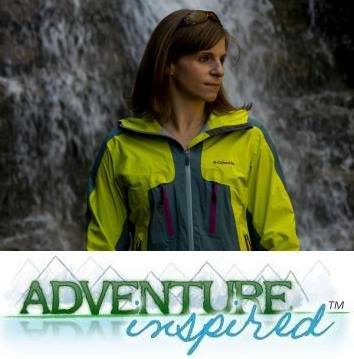 Check out these "Summit Stories." 3. It's not your typical fundraising event. Raising money isn't as hard as you think, especially if it's for a cause you believe in, and boy does it feel good to do it. One of my biggest worries going into the climb was how I was going to raise the requisite $4,000 for my Mount Rainier climb. I'd done walks and bike rides for charities before, but never raised more than $1,000. Several months and over $5,000 later, I realized it wasn't difficult to ask people I knew for help on behalf of something I was truly passionate about. When it comes to getting kids outside, there are fewer things I'll advocate for more strongly. I'm still in awe of how willing my friends, family, acquaintances, colleagues, college friends I haven't seen since college, climbing buddies, etc. were to support me and the BCM kids. Plus, the folks at BCM know how daunting the fundraising can be. You'll get a packet full of creative ideas and access with people there to help you when you sign up. 4. It's a chance to do something incredible, something not many people get to do. If you're a backpacker, hiker, climber, or general lover of the outdoors, it's hard not to feel the pull of the mountains. Most of us with a passion for playing outside will, at some point or another, want to climb a big mountain. It's inevitable. Why not follow your passion through an organization that makes the world a better place? 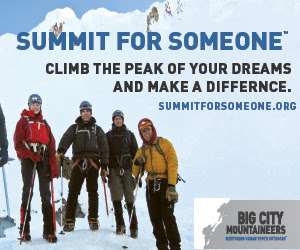 Now in its 8th year, the Summit for Someone program will allow you to climb 13 of the world's most sought after mountains including Mount Rainier, Kilimanjaro and the Grand Teton, all to support the mission of Big City Mountaineers. Whether you're a beginner or a seasoned mountaineer, there are climbs of all levels geared toward all skill sets. If any of the Summit for Someone climbs are on your bucket list, there's no better time than now. 5. It's a chance to do something incredible, but with a higher purpose. Sure, climbing a mountain like Rainier, Shasta or Kilimanjaro is a great thing to be able to say you've done. Not many people climb mountains like these and achieving the summit of some of the world's most sought-after peaks is an incredible accomplishment. Imagine being able to say you've achieved something most only dream of, but on behalf of a program that funds expeditions that change lives. Money raised by Summit for Someone climbers helped provide 600 urban youth have transformative wilderness mentoring experiences last year. That's 600 kids who've started overcoming challenges and working toward futures that embrace education, purpose and self worth. Live your dreams, accomplish your goals, all while making a difference. Interested in a Summit for Someone climb? You're in luck; the 2013 climbs are out! Visit the Summit for Someone website for more information . If (and when) you sign up, post it in the comments!